Explore the epic story that has inspired one of the biggest Hindu celebrations in the world. Diwali, the Hindu festival of light, is celebrated all over the world in many different ways. In India, it is common to celebrate by lighting hundreds of small lamps. Indonesian celebrations often include a shadow-puppet play (wayang kulit) that recounts the battle between light and darkness in the Ramayana, the epic that inspired the celebration of Diwali. Let’s explore a version known as the Freer Ramayana to learn more. The Ramayana, or the Tales of Rama, is an Indian epic originally written in Sanskrit some two thousand years ago. Since then, it has been retold and performed in many languages. The Freer Ramayana is one of those retellings. The Mughal emperor Akbar, who was a Muslim, had the Ramayana translated into Persian so that he could learn from the Hindu epic. Akbar’s prime minister then asked if his artists and calligraphers could make a copy. The prime minister’s artists created illustrations that drew on both local and Persian painting styles. That copy eventually made its way to the Freer Gallery of Art, which is why it is now known as the Freer Ramayana. Since the Ramayana has been adopted by many different cultures, its stories sometimes vary. However, at its core, the epic tells the adventures of Rama, a courageous prince of the kingdom of Ayodhya in northern India. In the story, Rama is a happy prince preparing to become the next ruler—until he is unfairly exiled from his kingdom for fourteen years. During Rama’s exile, Ravana, the King of Demons, falls in love with Rama’s wife Sita and kidnaps her. When Rama hears Sita has been taken, he and his brother Lakshman set off on a quest to save her. On their journey, Rama and Lakshman travel to Kishkindha, the kingdom of monkeys. They befriend the monkey king Hanuman, who helps the brothers. Learning that Ravana has taken Sita to his island kingdom of Lanka, they set off with a vast monkey army to get her back. Rama, his brother, and the monkeys defeat Ravana and his demons, successfully freeing Sita. As the happily reunited couple begins traveling home to Ayodhya, people leave lights on their doorsteps to help Rama and Sita find their way. These lights are a symbol of Diwali and the celebration of light overcoming darkness, just like Rama defeated Ravana. 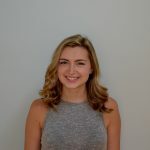 Cara Nolan is the digital and youth engagement intern at the Freer|Sackler.